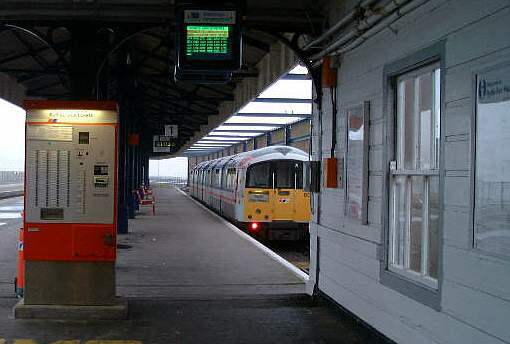 Ryde was once the main entry point to the Island for holidaymakers. The ferries used to moor at the Pier Head. 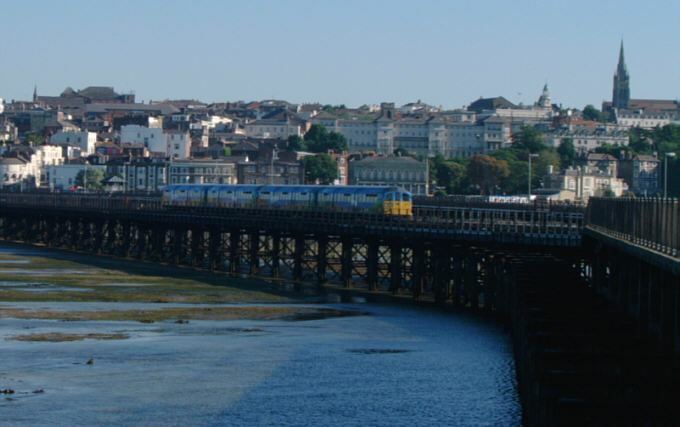 Passengers would disembark and have a choice of how they got to Ryde - a quarter mile stroll, a tram or a steam train! 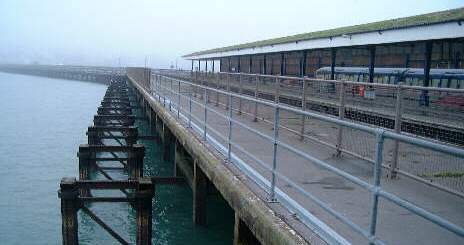 The trams and steam trains don't feature on the pier these days although the Island railway is still here. Click here for a reminder of steam days! Ryde always looks so attractive and welcoming. The trains are now usually only two or four cars in length. They are old London Underground trains, built in 1938. Despite this the Island has a superb record for punctuality. This platform is rarely used. This grass has self seeded in sand only a few feet above the ocean! It had been tidied up the next time I visited. 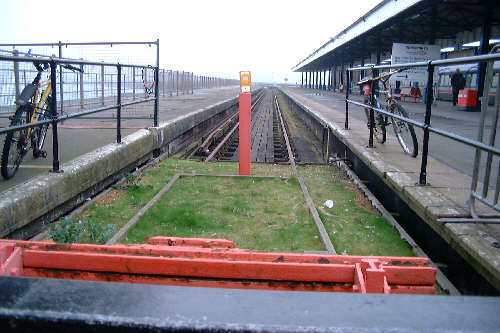 The pier once boasted four platforms plus two additional tramway platforms. 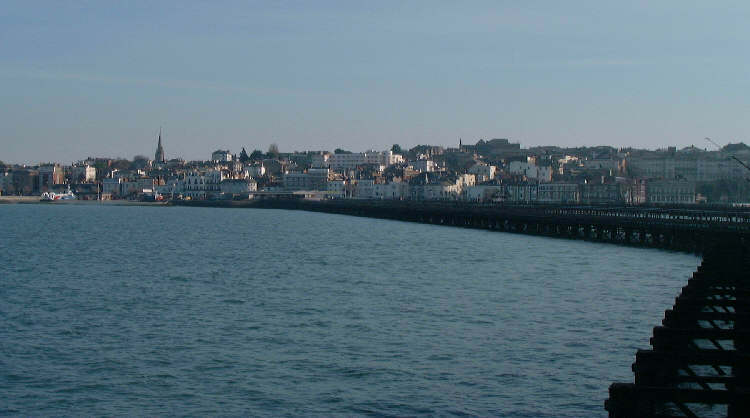 Another view of Ryde on a sunny day.